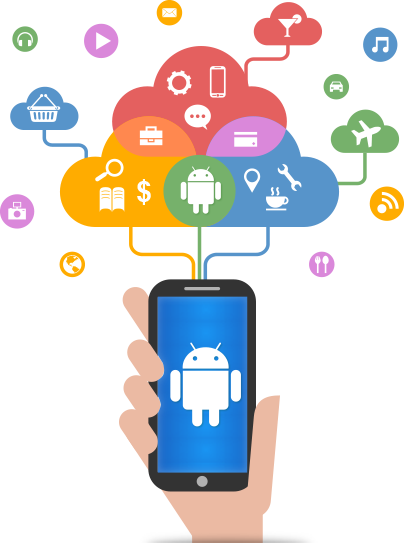 Android devices make up approximately 67% of the mobile phone/device market, making them an obvious target for development. Android users are more likely to see, and use free apps, like most promotional applications, while iOS customers have a preference for paid apps. With more than 1.6 million apps, the Play Store has a wide range of different apps, but a lot of duplicate and copy cats. 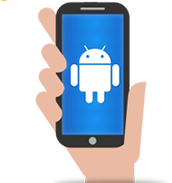 Android is based upon Linux, the Open Source operating system that also runs on PCs and servers, making it robust, reliable and versatile. Apps are written in the free Java programming language. Let us create and test your app on a wide variety of devices to ensure it works well, and looks good! With previous experience writing software tools for many needs, Ebusiness Guru can write you a stable, fast application, without the price premium for paid tools. Get a quote for your app before you commit, safe in the knowledge it will not change unless you request additional features.